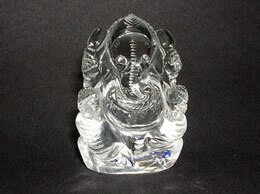 Approximate Weight - 58 Grams to 63 grams This is an exclusive Ganesh statue. 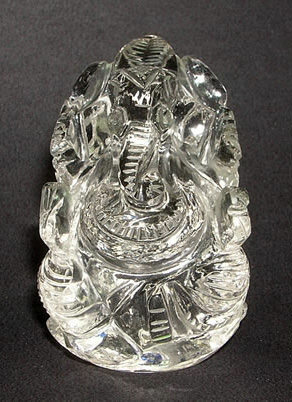 It is handcrafted from Natural Quartz Crystal. 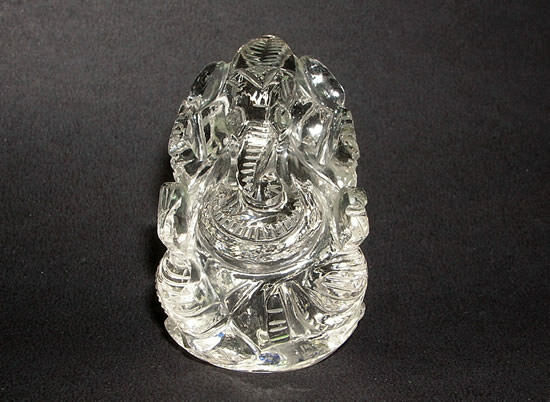 The Crystal used is of very good quality.Beautiful Ganesha idol to be kept at home and office. 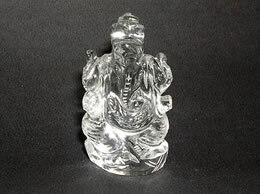 USES: Ganesha is The Deity of wisdom good luck and success in all ventures. Ganesha is supposed to bring in confidence, happiness. The lord Ganesha it gives fame, name and money. – Used for Pujas. – Very nice Product as a gift to get luck and prosperity to your loved once.